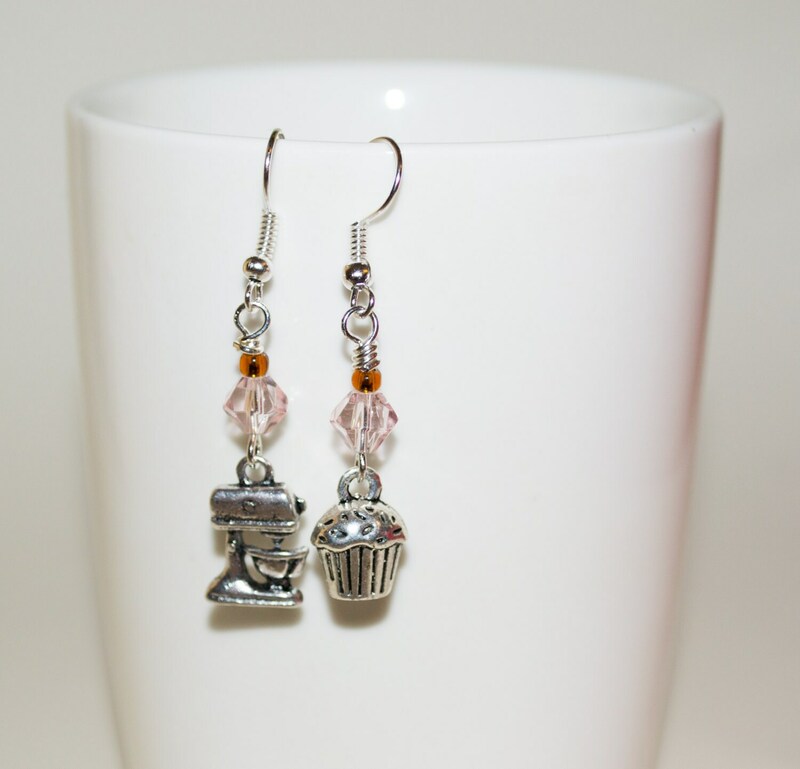 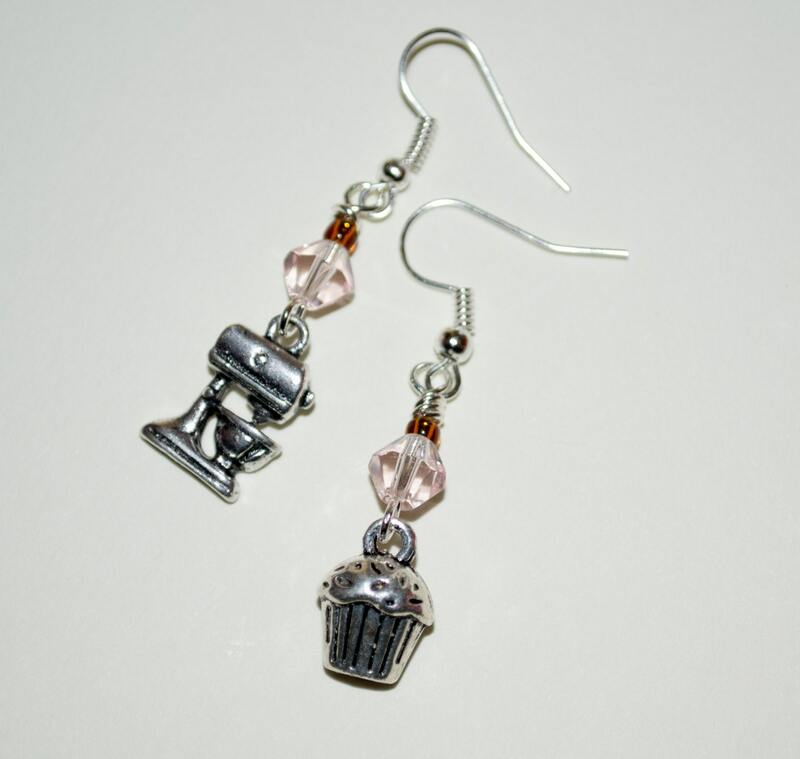 Supercute mismatched dangle earrings - one food mixer and one cake charms, topped with pink crystal beads and caramel coloured glass seed beads. 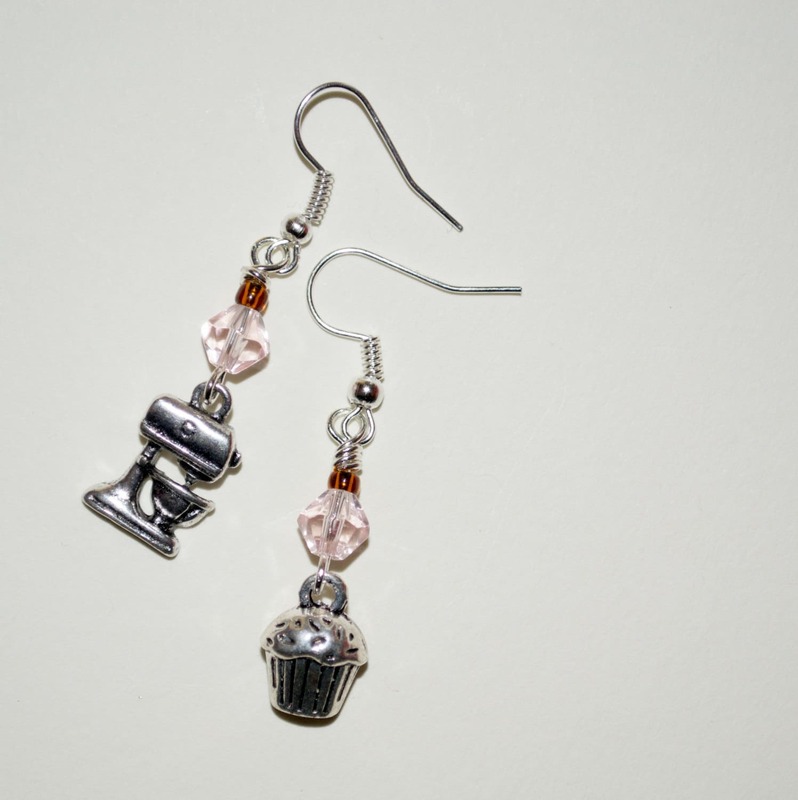 A quirky gift for the baker in your life? 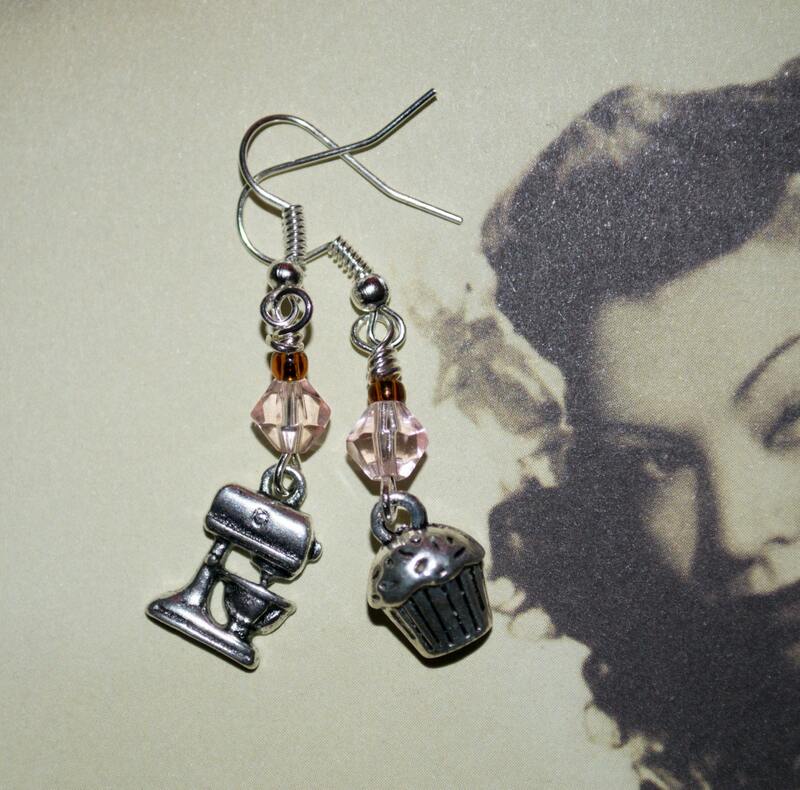 The total drop from the top of the ear wire is around 1.75"/4.5cm. 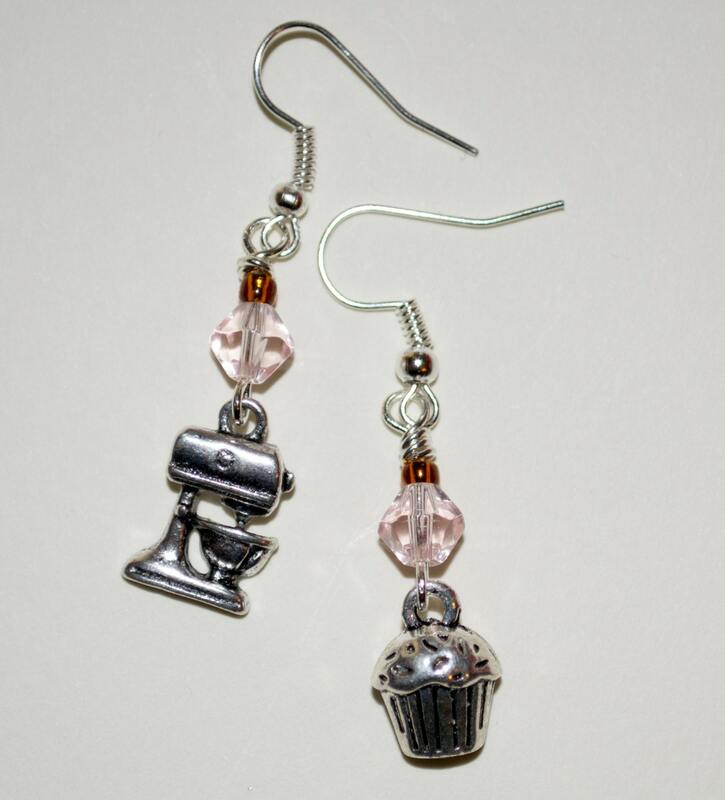 The silver plated earwires are lead and nickel free.